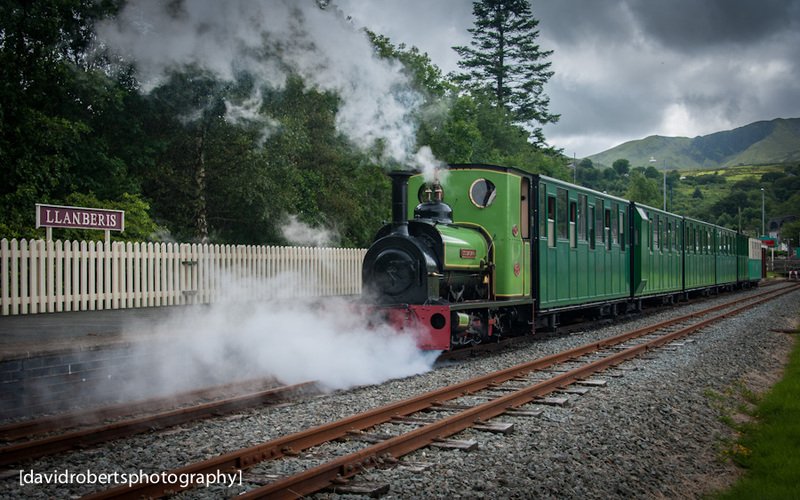 Locomotive ‘Dolbadarn’ begins to haul its carriages away from Llanberis Station on the Llanberis Lake Railway. What a lovely shot! I’ve not managed to catch “Dol” in her new livery yet. The steam and the dark, threatening clouds in the background really add to the scene.